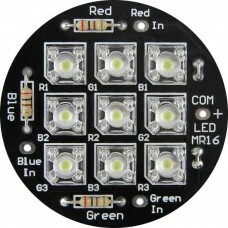 The LED TriLight is a versatile mounting system which holds nine equally-spaced LEDs on a compact 9" x .580" (229mm x 15mm) display board. 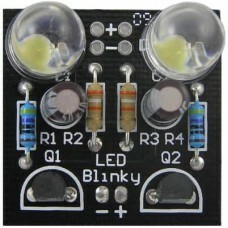 The LED TriLight supports three separate inputs, each driving a separate set of three LEDs. 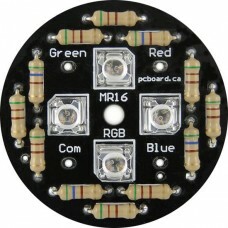 This allows for the placement of Red, Green and Blue LEDs on the board – which can be used with products such as our LED Rainbow Controller to produce stunning lighting effect. 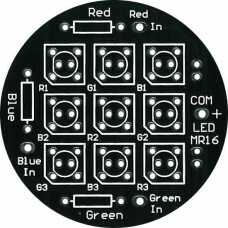 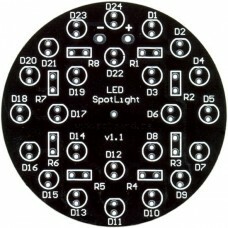 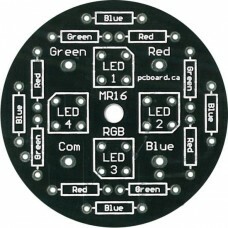 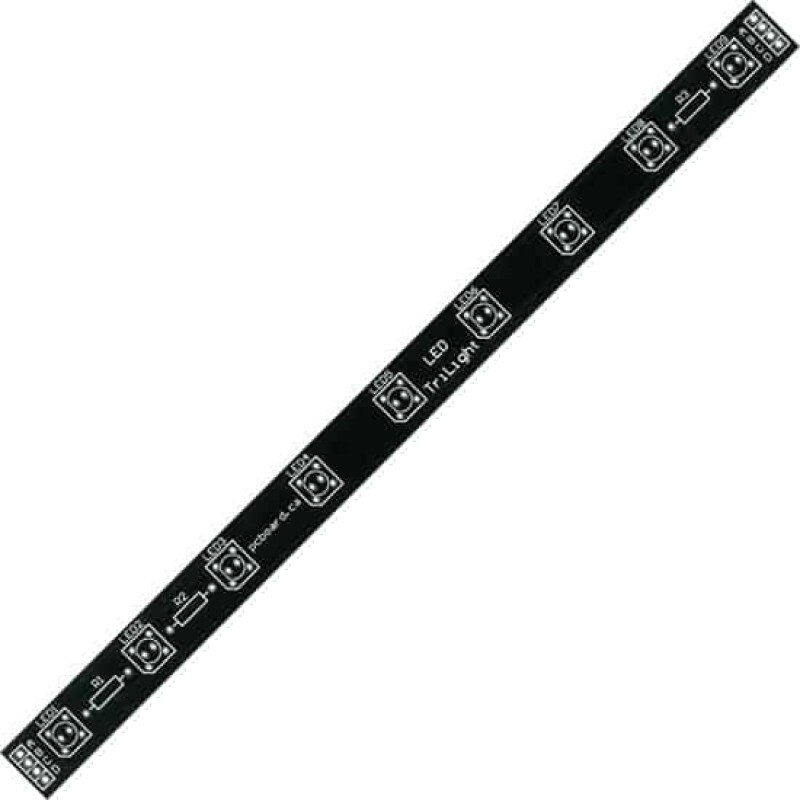 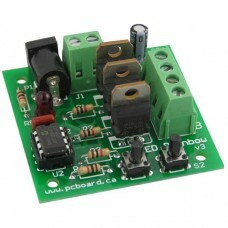 A unique feature of the design allows for the mounting of standard 5mm LEDs or Super Flux / Piranha 4-pin LEDs. 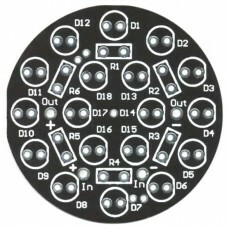 For more information and technical details on the LED TriLight, please visit our Support Site.